It's been a pretty exceptional food week, sorry for the overwhelming number of photos! Appetizer from our anniversary meal at Kabooki Sushi. 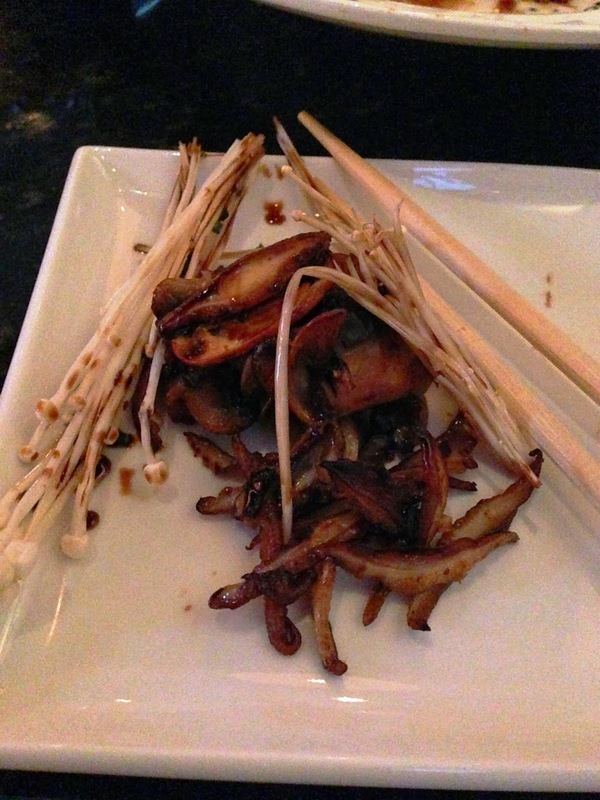 Sauteed mushrooms, the dish is called Mr. Mario and it was incredible! Anniversary dinner entree for me...vegetable moriwase. 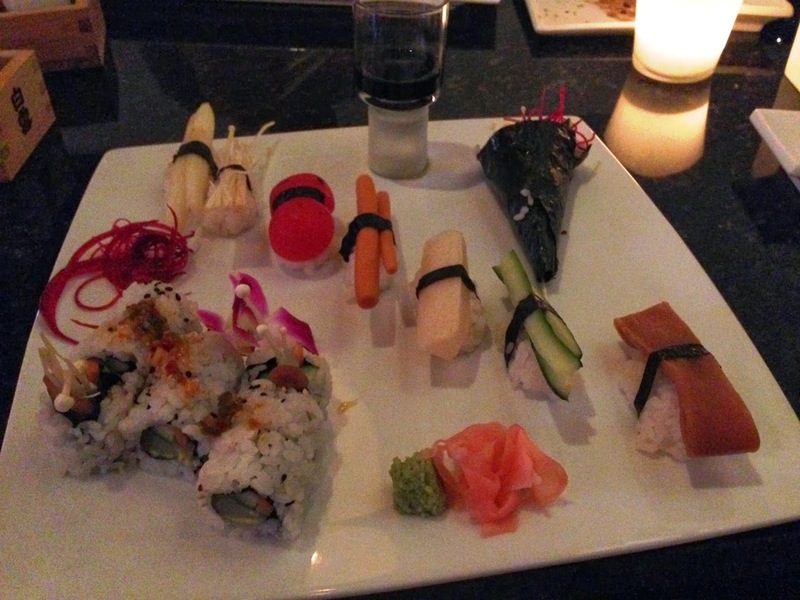 Hands down the best veggie roll I've ever had, plus some interesting and delicious veg on rice with an avocado hand roll and imported soy sauce. Heaven. 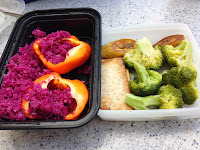 One of my random leftovers lunches...peppers filled with red cabbage, tofu, broccoli and plantains. 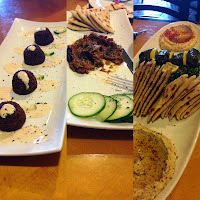 Great lunch out at Pasha Taverna & Lounge. 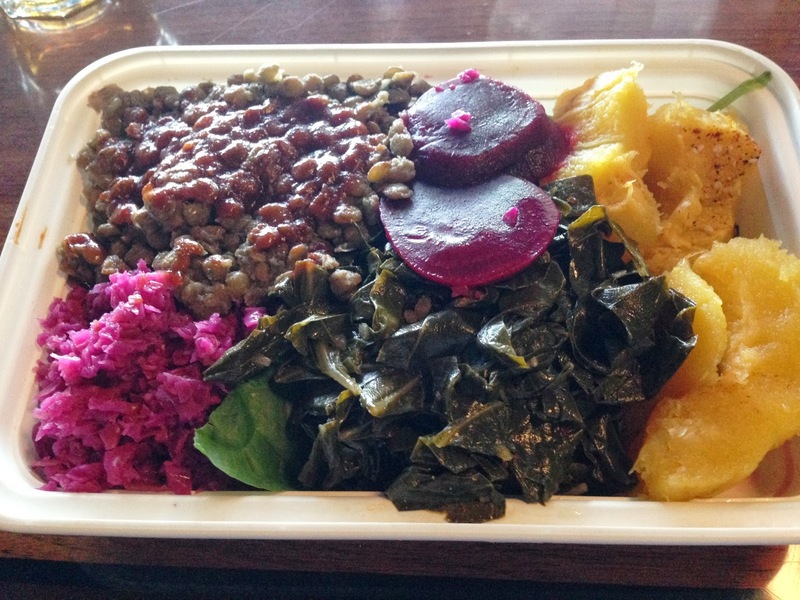 I love eating Mediterranean because I can just order without asking too many questions. 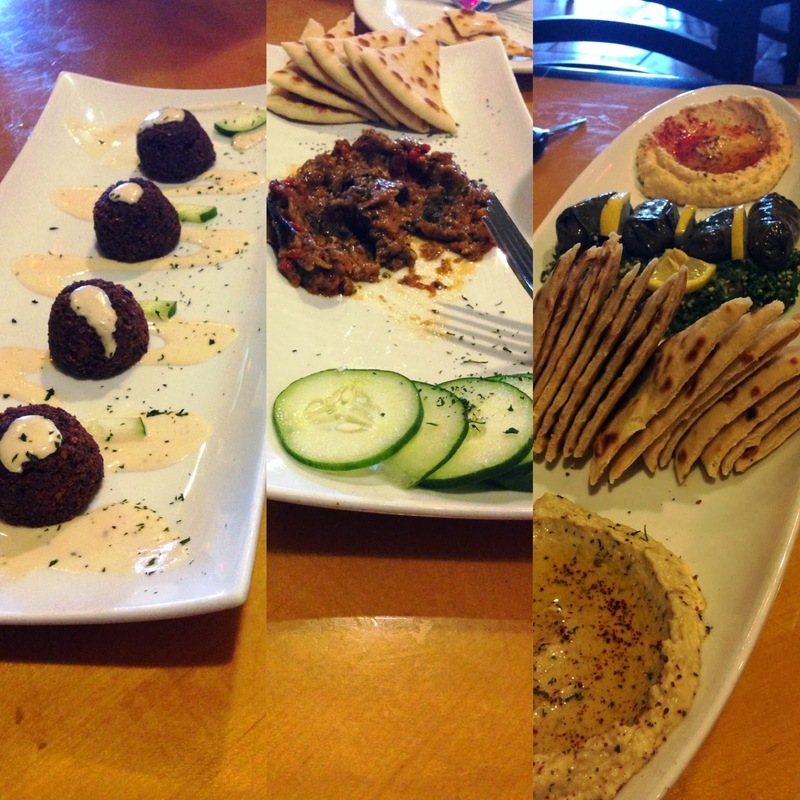 We split falafel, zaalouk, baba ganoush, grape leaves & hummus. 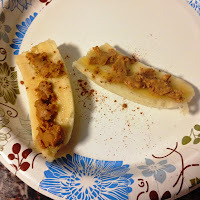 This is what I brought to the Ravens bar on Sunday to eat with my football. Healthiest lunch in the bar by a wide margin! 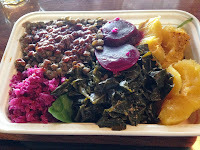 Lentils w/BBQ sauce, red cabbage, beets, collard greens and acorn squash on a bed of spinach. 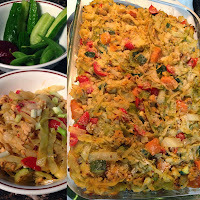 Enchilada shepherd's pie. 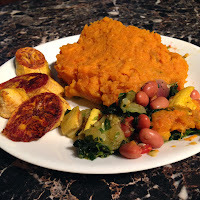 A mix of roasted squash, onions, garlic & poblano mixed with pinto beans, topped with mashed sweet potato and baked. Side of plantains (always). We are kind of obsessed with rice paper wrappers. 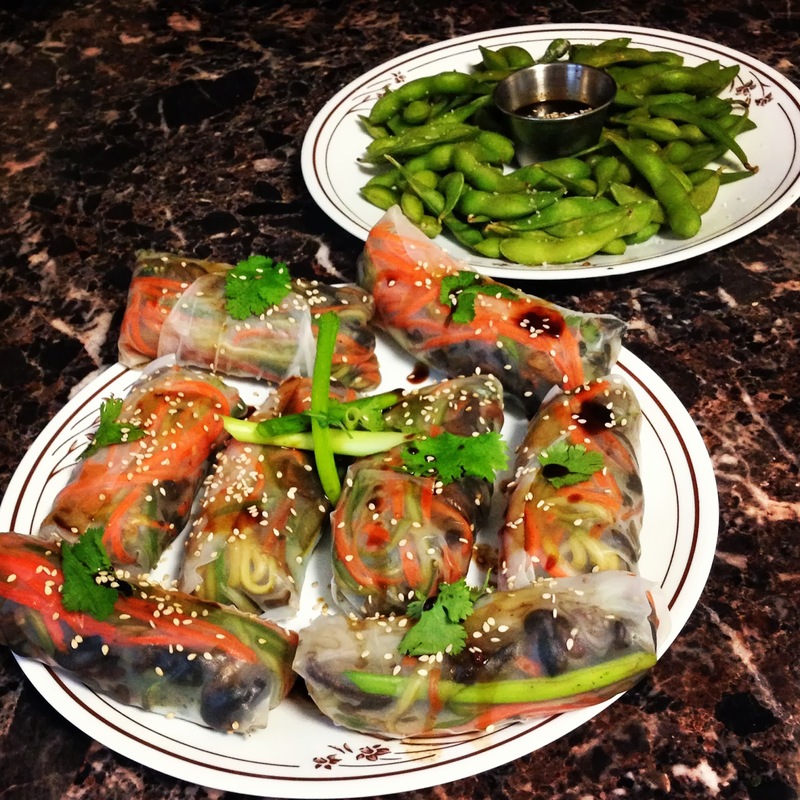 Carly made me these mushroom banh mi rolls - tasted even better than they looked! 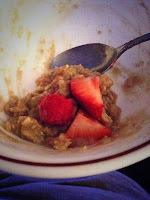 I realized (too late) that I haven't ever taken a photo of my go to dessert. 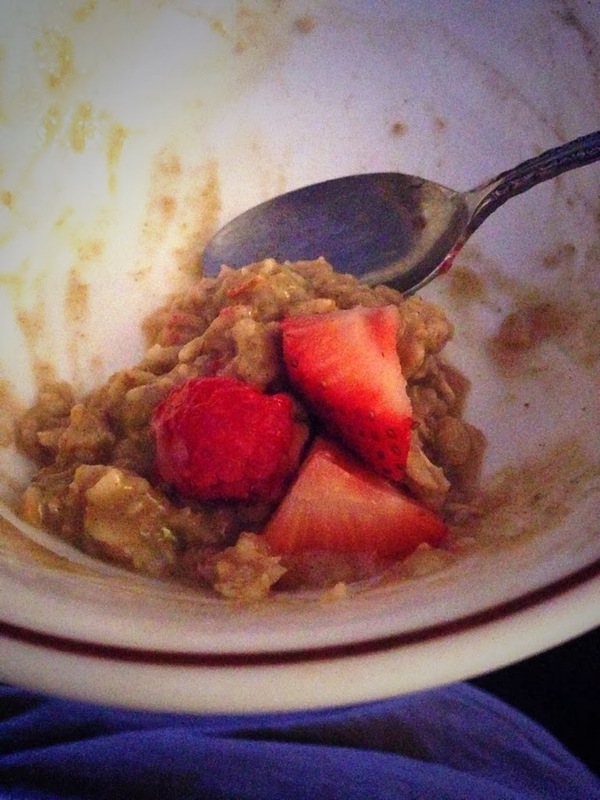 Oats mixed with either PB2 or protein powder, topped with fresh berries. 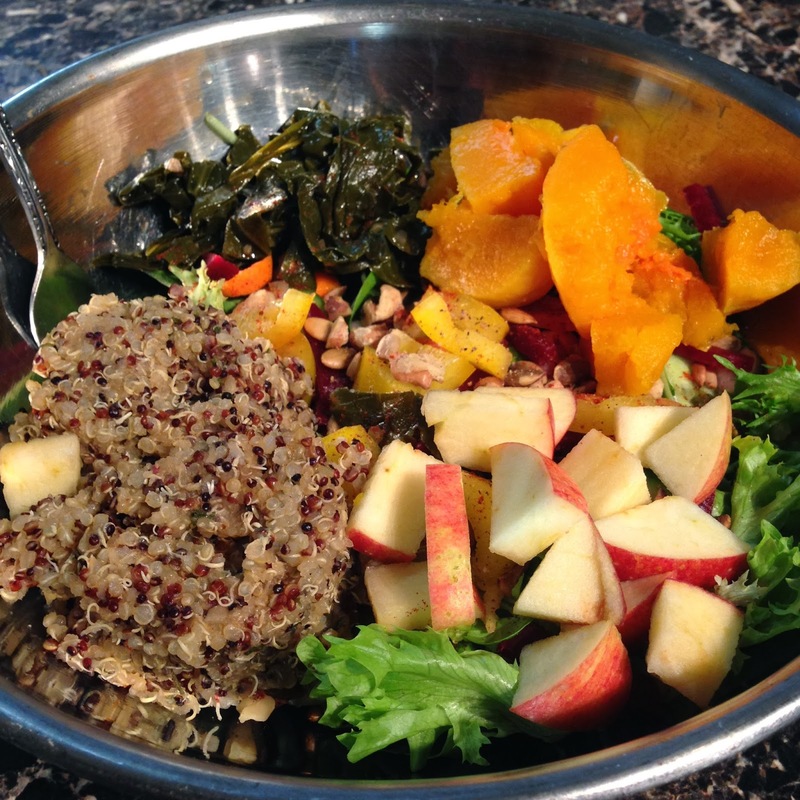 Harvest salad: greens topped with quinoa, butternut squash, apples, currants, carrots, cucumber, peppers, and toasted sunflower seeds/pumpkin seeds/walnuts.